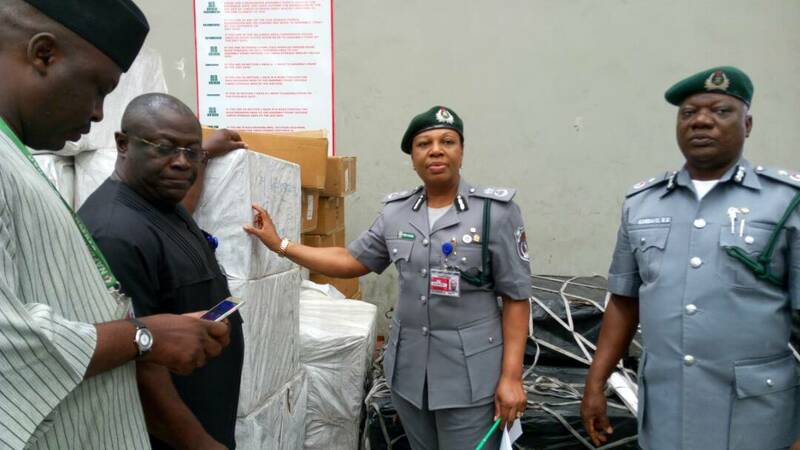 The Nigeria Customs Service, Murtala Muhammed International Airport Command, on Thursday handed over seized 180 cartons of tramadol capsules to authorities of the National Drug Law Enforcement Agency (NDLEA) at the Airport. In a statement, Public Relations Officer of the Command, Mr. Ephraim Haruna, said the 180 cartons of the Tramadol Capsules were apprehended and detained on Tuesday May 15th by the officers of the Command at the SAHCOL Shed. the Deputy Director of NAFDAC in the MMAC, Mr. Udoekpo Ekpo, being the agency of government in charge of drug-related issues.